MyStompz is available for iPhone and iPad. 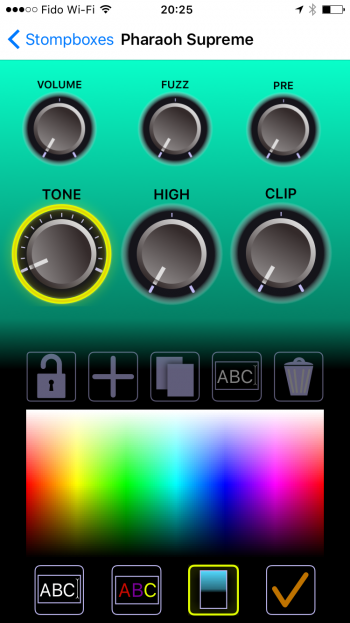 It allows you to recreate the layout of your effects pedals, including setting fat and background color. You can then store your stompbox settings and never lose them again. This is the iPhone version – Setting background and font colors. Tapping the two center icons on the lower icon row brings up the color picker so you can set the background and font colours for your pedal.